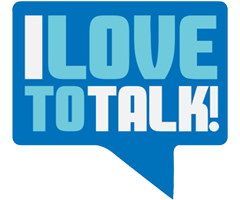 IRVING, TX, (January 21st, 2016) – Step 2 Promotions, won a Silver award in the 2016 Image Awards Competition for its "I Love To Talk" campaign. The awards were sponsored by Promotional Products Association International (PPAI). Thirty-One Gold, Silver and Bronze winners were recognized at the PPAI Awards Presentation & Reception held January 12, 2016 at the House of Blues in conjunction with The PPAI Expo in Las Vegas. Step 2 Promotions was presented a Silver award for the 2016 PPAI Image Awards in the category of Distributor - Self Promotion Campaigns. For more information about the PPAI awards program visit www.ppai.org/awards or contact the PPAI Awards and Recognition department at awards@ppai.org.